Unicorns are probably the sweetest mythological creatures that even kids love! 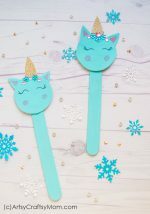 Spread some magic around with these unique unicorn crafts for kids that are just gorgeous! It’s Unicorn Day on April 9th – yes, Unicorn Day!! If you’re like me and you love unicorns, you’ll agree that the unicorn completely deserves it’s own day! Like Umberto Eco said in the quote above, no one is sure about the origin of the unicorn. Yet, we all wish it were real. Unicorns evoke feelings of love, innocence and kindness – things that are getting increasingly rare in this world. So this Unicorn Day, let’s revive this kindly spirit of unicorns by doing some awesome unicorn crafts with our kids. And here’s another reason – they’re drop dead gorgeous!! This project from I Heart Crafty Things shows us how we can make incredibly beautiful things from simple supplies like colored yarn! 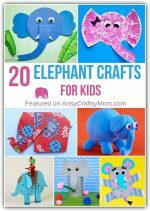 Kids will love making and playing with these puppets along with their friends. You can also try making a different color for each person. Feeling frustrated because all projects you look at involve sewing? Then you’ll love this no-sew Unicorn sleeping mask from Bird’s Party! With felt and a glue gun, you can put this together in a jiffy – there’s even a template to download! No, we’re not talking about a horned creature on stage bangin’ away with an electric guitar! This is a beautiful little project from Rock Painting 101, with a full pictorial and video tutorial on how to make it. Don’t you feel calm just looking at that unicorn? 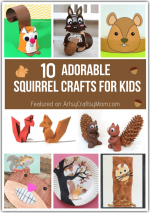 Okay, this is the cutest craft to appear on the internet in recent times! Red Ted Art turns a very ordinary matchbox into a stunning, colorful and magical notebook, completely worthy of a unicorn! This craft makes a great gift for Valentine’s or Back to School. Dream catchers are supposed to protect you from bad dreams and other negative stuff. Now if you’d like to add some more magic to make it more potent, we can’t think of a better way than incorporating a unicorn into it! Get all the instructions over at Hello, Wonderful. Is your heart a unicorn? Well, you can definitely turn a paper heart into a pretty unicorn! This craft is perfect for valentine’s day, when you can tell that special someone how much he or she brings color to your life. We love mixed media projects – they’re a great way to introduce kids to different kinds of craft supplies. It also breaks the notion of using certain things a ‘certain way’ – creativity has no boundaries! This is beautifully showcased in this mixed media unicorn craft at Arty Crafty Kids – give it a try! This craft from Happy Go Lucky is one of those that looks super-gorgeous but is really easy to make! Draw your own unicorn or go the easy way by printing it out. You can use foam, thick cardstock or any material of your choice – the focus is on that rainbow tassel tail! Give any corner of your home a magical touch with some unicorn ornaments from Red Ted Art! These aren’t your everyday ornaments – they’re made of paper, are three dimensional and have rainbows on it! 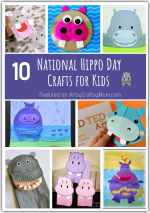 Those are enough reasons to start making this craft pronto! You’ve seen many crafts where the unicorn’s mane and tail are rainbow-colored, but what about the unicorn itself being a rainbow? This fun art project from Sweett Makes Three teaches kids the salt painting technique with water colors to get a lovely, ethereal effect. What if I told you that you can make this unicorn craft out of just white cardstock and colors? Sounds unbelievable, but it’s true! Easy Peasy and Fun features a very basic craft that uses these basic supplies to give you a 3D unicorn that you can include in all your small world play! Here’s the perfect craft for your little one – a paper plate unicorn! 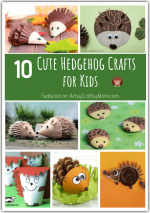 With large pieces of paper and big eyes, younger kids won’t have a tough time with this craft from Glued to My Crafts. I love how the unicorn looks a bit disheveled but so incredibly cute!! Say you’re teaching your kids the alphabet, using animals as examples. So you go A for ant, B for bee, C for cat and so on. And what do you do when you get to U? Why, Unicorn of course!! Get the printable for this fun unicorn craft that is easy enough to make. ‘Glass? 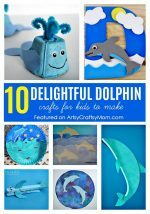 In a list of kid crafts?’ Relax, the ‘glass’ here refers to colored gel sheets, which are used for that stained glass effect. Yet, this project from Oh Happy Day is better suited for the older kids, who’ll love the challenge of assembling the unicorn along with it’s various colors! It’s not just the gift that should be magical, the gift box should be too! Mom Collaborative has a printable for some pretty unicorn pillow boxes that are a breeze to assemble – way easier than finding a special gift! Ever wondered where unicorns live? Jumble Tree seems to have the answer – a nice, magical woodland! This bright and colorful craft has it all – snow capped mountains, grassy hills, a lush tree – and of course, a gorgeous unicorn with a glittery purple mane! This simple unicorn craft from I Heart Crafty Things is very simple, making it perfect for preschoolers or primary school children. There aren’t too many fine details either, so it doesn’t matter if things go a little helter skelter! Kids love poop jokes, which means this pooping unicorn is sure to be a hit with them! Hello, Wonderful has struck poop gold with this super cute craft that is ideal for a unicorn theme party. This is one diaper explosion you’re not going to run from! If your little girl is completely into unicorns and wants to become one, help her fulfill her wish! Shwin & Shwin has a detailed tutorial for an absolutely stunning unicorn costume that is nothing short of magical! There’s no mistaking this Popsicle stick craft from The Homespun Hydrangea – the horn and the rainbow hair gives it away! All you need are very basic craft supplies like cardstock, paints, glue, felt and of course – Popsicle sticks! I’m sure you’re thinking how magical these unicorn crafts for kids are!! Yes indeed, and maybe this is our little way of spreading some magic around – the world sure needs it! Greetings from Kiev! My grandchildren and I are delighted with these crafts. And try to make unicorns. Thank you very much for making the world of children brighter, colorful and kind!